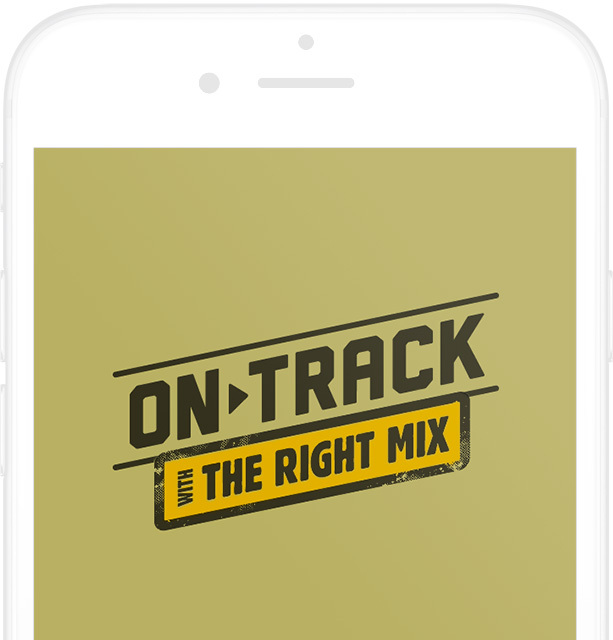 Built to help serving and ex Australian Defense Force personnel, the ‘ON TRACK’ mobile app (iOS and Android) allows a user to easily track and monitor their drinking behaviour. 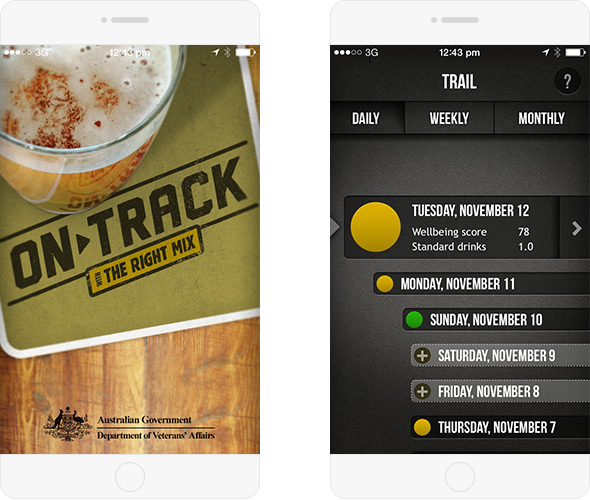 The app contains live data graphs and infographics providing a visual representation of the impact of drinking behaviour over time, with tips and recommendations to help make more healthy choices when it comes to drinking. 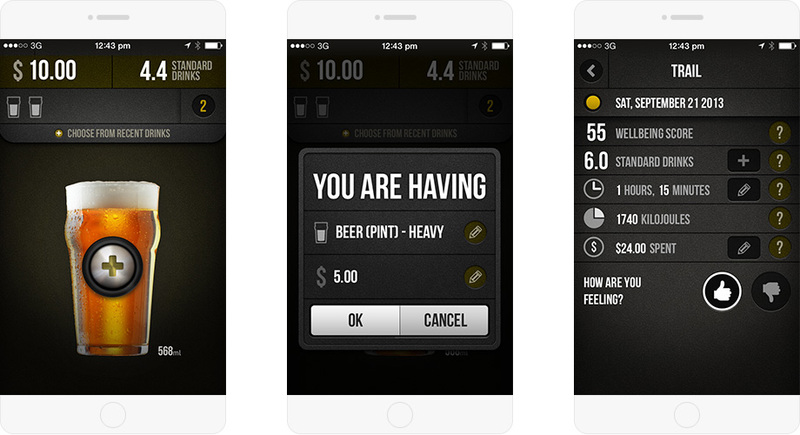 A custom ‘Well Being Score’ and traffic light system was developed that takes into account a number of behavioural factors including the amount of alcohol consumed over time, frequency of alcohol consumption, and number of Alcohol Free Days – helping show the cost and impact of drinking on your lifestyle. 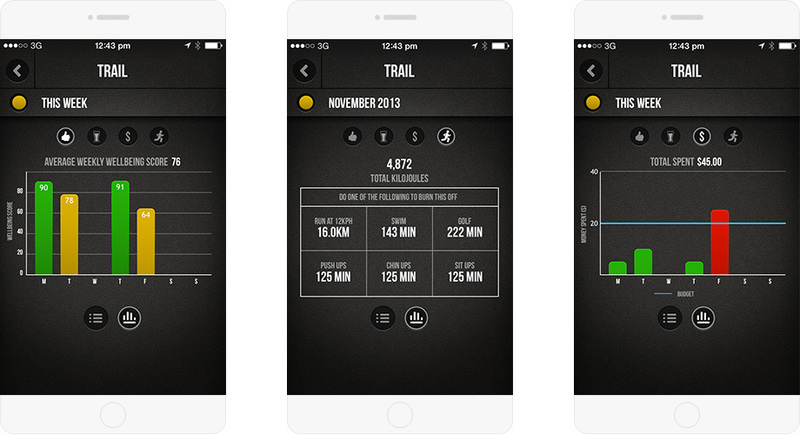 Produced with agency partner Sputnik and The Australian Government Department of Veterans’ Affairs.